Extreme poverty affects more than 700M globally and a billion people are currently living in slum conditions. At the same time, 1/3 of food produced (~1.3BB tons!) is wasted due to inefficiencies in harvesting, storage, packing, transport, and infrastructure, amounting to an estimated loss of $1 trillion. These numbers are staggering, and progress in eradicating poverty and achieving zero hunger is undermined by alarming gaps in access to natural resources and the supply chain. None of these conditions of humanity will improve if the world’s leaders do not begin to use their resources and skills to generate new ideas. 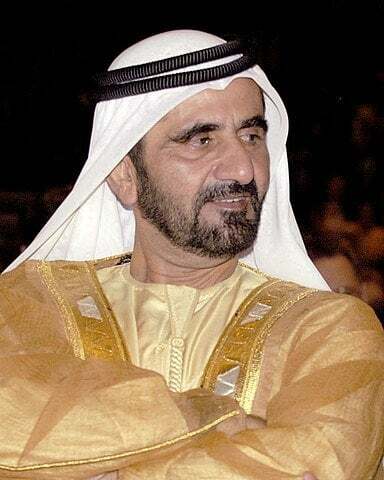 That’s why Mohammed bin Rashid Al-Maktoum, Prime Minister of the United Arab Emirates and Ruler of Dubai, launched a humanitarian initiative to unite and reward today’s greatest thinkers who formulate solutions solving today’s most severe global problems. Based on the UN’s Sustainable Development Goals, the MBR Initiative for Global Prosperity is giving away $1M prizes to innovators with the best solutions to four of the world’s most pervasive challenges – renewable energy, hunger, water/air pollution, and the digital divide. The Zero Hunger challenge will focus on promoting and enabling inclusive rural transformation in an increasingly urbanized world and enable investment in smallholder farmers, with a focus on developing entrepreneurship in agribusiness, specifically for women and young people. Mohammed bin Rashid believes that sustainable agriculture can help lift the suffering of immigrant populations and improve quality of life. The question that the initiative for Rural Transformation and Zero Hunger is trying to answer is: How can farmers in less developed countries increase food and cash crop yields through advanced methods of sustainable agricultural production and preservation? Hundreds of ideas have been submitted and the challenge is open to anyone who has an idea to submit through January 31st -- existing submissions and details are viewable at Making Prosperity. The MBR Initiative for Global Prosperity is an ambitious extension of the UAE’s own transformational vision, built on four core values: resilience, community, harmony, and dignity. His Highness has an unwavering belief in the power that innovation holds to change the world for the better, not only by transforming economies, but by enhancing global prosperity, strengthening societies, and improving people’s lives. Winners will be announced in July and given the funds and mentors to bring their innovations to market.